After repeated delays for various reasons, German developer Deck 13 Interactive’s Blood Knights might finally have its real release window in sight, according to a press release from the game’s new publisher, Kobalt Games. Blood Knights, which will be the first release under the newly formed Kobalt Games label, is now scheduled for a Q4 2013 release, meaning it could potentially arrive on XBLA as soon as next week. For Deck 13’s hack-n-slash title, it’s been a long and winding road to release. 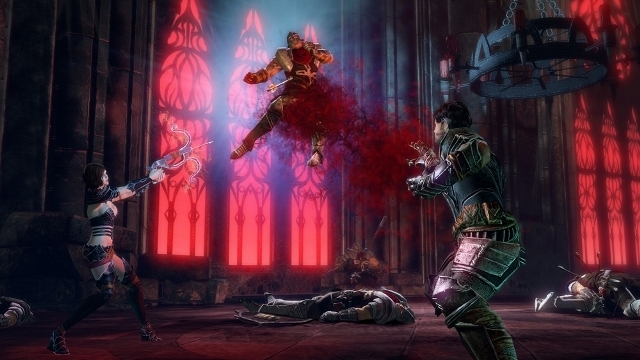 Originally announced in July of 2012, the co-op vampire-hunting game was first planned for an October 31, 2012 release. Unfortunately for those looking forward to Blood Knights, Halloween 2012 came and went without a word from Deck 13 or its thenpublisher, DTP Entertainment. Here we are once again at the start of what’s sure to be another fantastic year of XBLA releases. Each day this week XBLA Fans will be rolling out a list of eight of our most anticipated Xbox Live Arcade releases of 2013. While we can’t possibly cover every single XBLA game planned for this year, we’ll be giving you a varied list of 40 of the most promising titles we expect to release on XBLA in 2013. Once it’s all done, be sure to check back in next Monday when each staff member makes his/her picks for the game he/she is most looking forward to. Alien Fear is an Unreal Engine 3-powered sci-fi first person shooter headed to XBLA, presumably at some point in 2013. 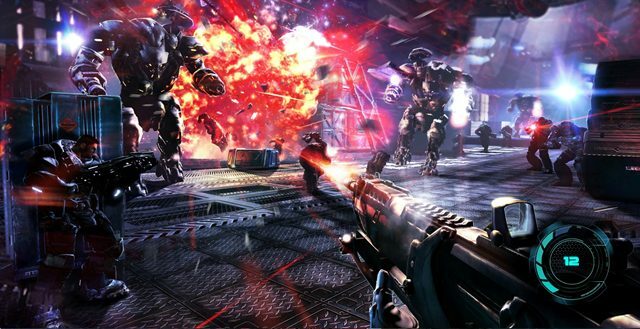 Though we’re assuming that the above image is a target screen rather than an actual in-game image, developer City Interactive is promising that the use of Epic Games’ ubiquitous engine is allowing them to create an Xbox Live Arcade title that boasts “visually stunning, large-scale environments with impressive long-range vistas and expressionistic lighting.” The co-op shooter has yet to be shown in action, but XBLAFans is looking forward to finding out if the game lives up to the promise shown in the above image whenever we get our first real look at it. XBLA Fans’ Calendar Update helps you keep track of all those XBLA release dates that often seem to spring upon you at the last minute and remind you of those promised games you were looking forward to that just seem to disappear without explanation. In this edition we’re taking a look at a particularly sparse November along with some hopefuls for December so you can start organizing your MSP and schedule in some serious controller time or sick days well in advance. The XBLA release schedule seems to have gone a bit quiet for the last two months of the year. So far we only have 3 confirmed November game launches. In the first week of the month gamers can get their hands on the next release in the SEGA Vintage Collection, Toe Jam & Earl for 800 MSP on November 7. In keeping with the retro feel for this week, the remake of 1984’s Karateka will also release November 7 for 800 MSP. The only other confirmed release this month is for Warlords on November 14, also priced at 800 MSP. However Skulls of the Shogun developers 17-Bit, have stated they would like a November launch despite having previously announced it would release with Windows 8, and developers Chasing Carrots have also indicated they would like to release their top-down racer Pressure this month too.